A group of old buddies, aged in their 30s, decide to catch up for dinner. After much discussion, they decide to go to the Ocean View Hotel because it has a large sports bar and because the waitresses are hot. Ten years later, aged in their 40s, the same group of old buddies decide to catch up for dinner. 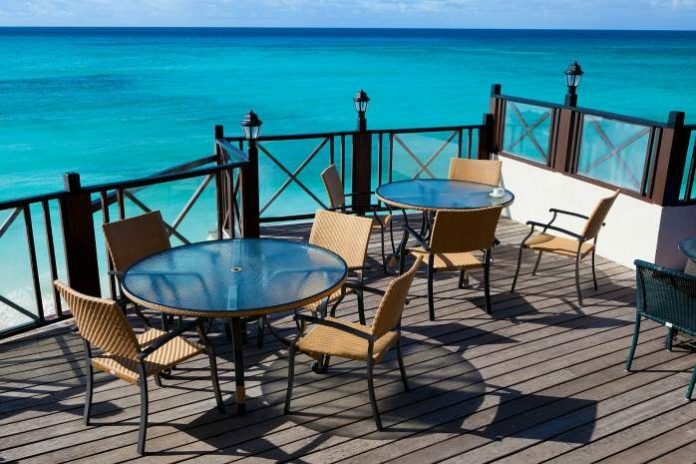 After much discussion, they decide to go to the Ocean View Hotel because you can get an excellent quality meal for a very reasonable price. Ten years later, aged in their 50s, the same group of old buddies decide to catch up for dinner. After much discussion, they decide to go to the Ocean View Hotel because it has a superior wine and spirits list. Ten years later, aged in their 60s, the same group of old buddies decide to catch up for dinner. After much discussion, they decide to go to the Ocean View Hotel because it’s a nice quiet place where they can sit and eat and reminisce in peace. Ten years later, aged in their 70s, the same group of old buddies decide to catch up for dinner. After much discussion, they decide to go to the Ocean View Hotel because it has wheelchair access and very good senior deals on weeknights. Ten years later, aged in their 80s, the same group of old buddies decide to catch up for dinner. After much discussion, they decide to go to the Ocean View Hotel because they’ve never been there before. Previous articleWhat’s The Best Way To Read A Book?